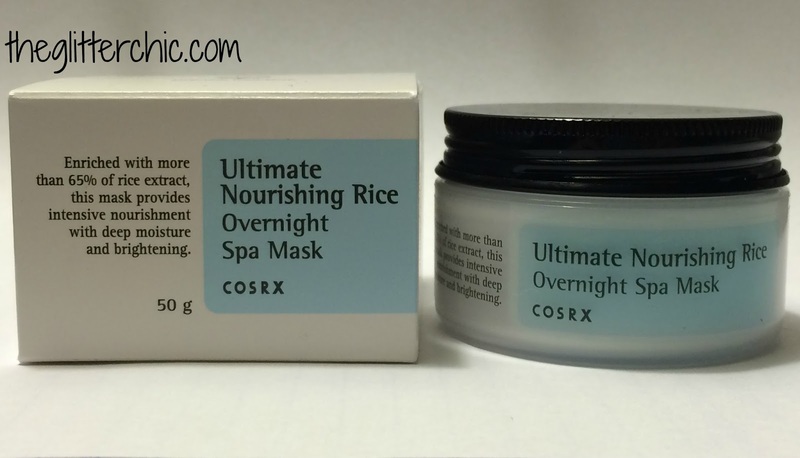 Purpose: Your ultimate at home spa treatment. 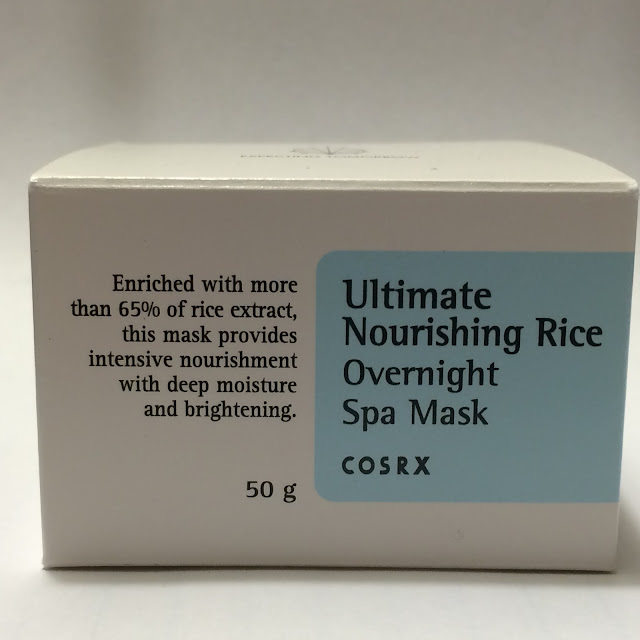 This nourishing overnight spa mask is formulated with 65% rice extract and natural ingredients to gently brighten, nourish and hydrate your complexion as you sleep. Enjoy the pleasures of having a more radiant, healthy and even skin tone and kiss that dull, dry, uneven complexion goodbye. 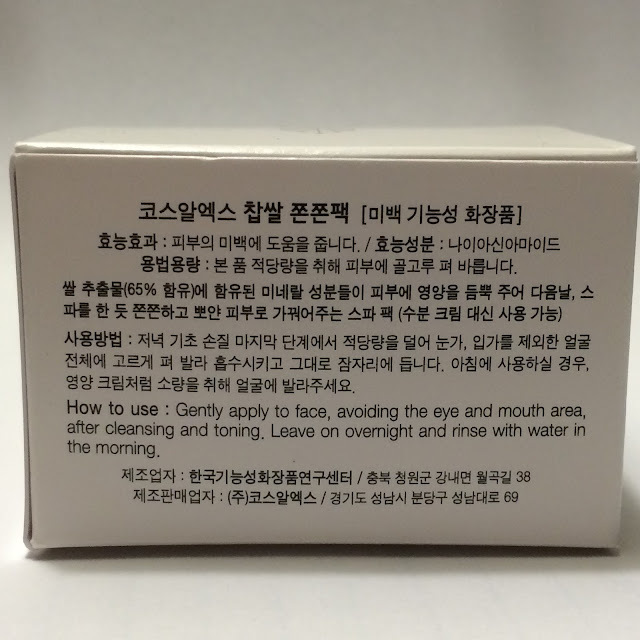 To Use: Sleeping Pack: Apply as the last step in your skincare routine over your face. Wash off in the morning. Wash Off Pack: Apply mask and wait 15 minutes, rinse off with warm water or toner. 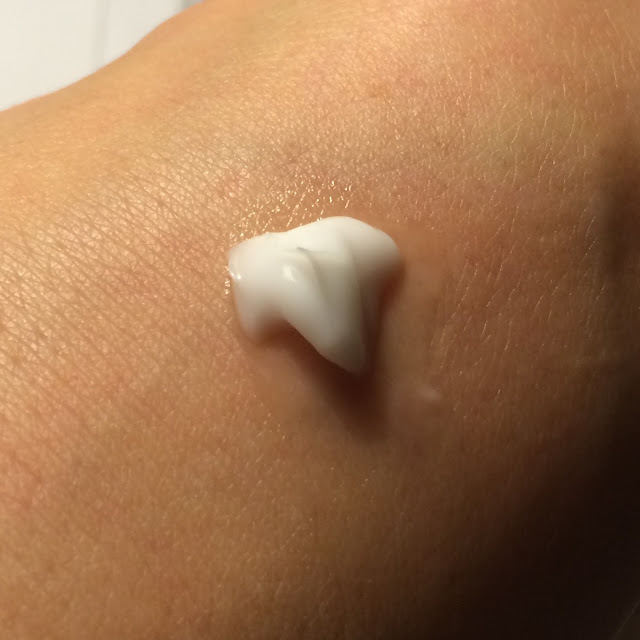 Cream: Use as the last step in your skincare routine, and apply makeup afterwards. 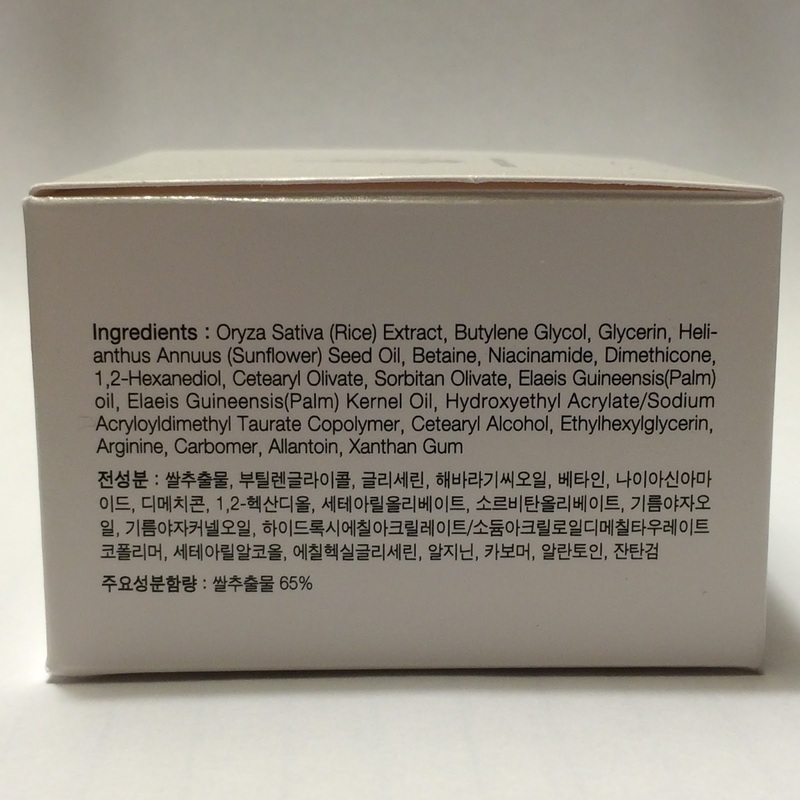 Description: Cosrx uses very simple packaging, which I like - it looks beautiful and can be easily decorated with Cosrx stickers! 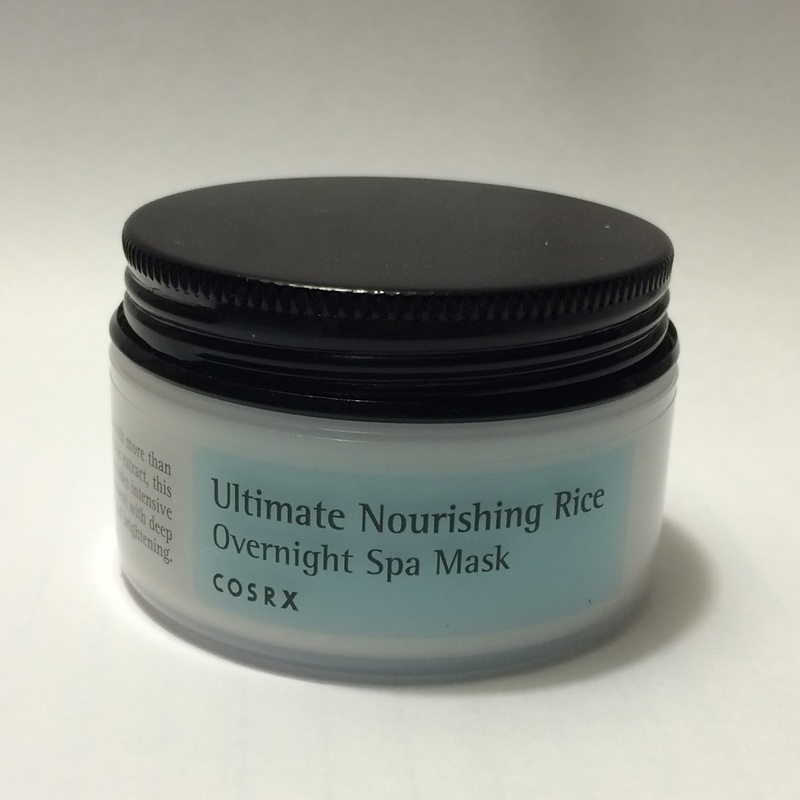 The Ultimate Nourishing Rice Overnight Spa Mask is no exception - it has a black metal lid and a white plastic jar with a simple label printed on one side. The cream itself is white, with no real discernible scent. It's thick, but doesn't feel heavy at first. My Skin: I have 29 year old, oily, acne prone, dehydrated, sensitive skin. I experience hormonal acne due to PCOS as well as cystic acne. I am currently using a Curology prescription that includes Tretinoin. Performance: As I mentioned above, this mask is a little thick, but it does spread out easily onto the skin. I use a small pea-sized amount for my whole face, and it spreads thin and feels like it should absorb easily. The problem I have, is that it doesn't. It sits on top of my face like a layer of grease - not oil, I do enjoy oils, but this is uncomfortable. Within a few minutes of applying this cream my skin starts to feel heavy and very greasy. 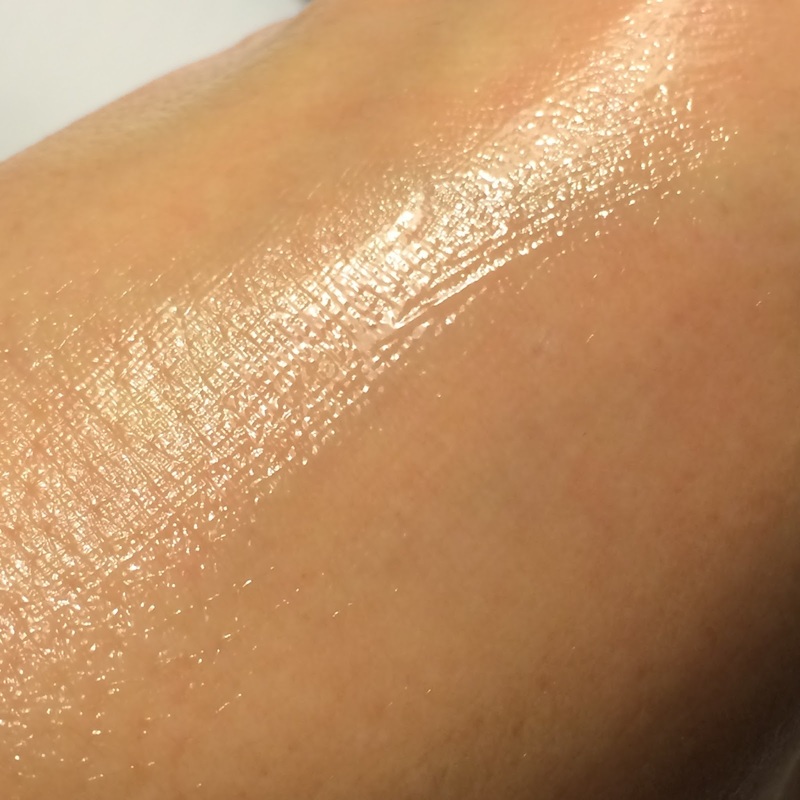 I've tested this cream out in four different ways: 1) over my regular routine with several hydrating layers underneath, 2) alone after just washing and toning my face (not even using Curology this night), 3) over other hydrating creams (humectant), and 4) using in conjunction with an oil. Each night, I experienced the same frustrating result - the cream being unable to absorb into my skin, sitting on my skin like a layer of grease, and waking up to irritated and severely dehydrated skin. Over the 4 days I tested this out my skin developed dry flakey patches and also new cystic acne (which I haven't experienced in weeks) as well as several new whiteheads (most small and easy to drain). My first night not using this mask I woke up to most of my dry patches looking just slightly red and no longer flaky, and my skin does not feel tight anymore. Verdict: This cream just isn't for me. I know many people have great success with it, even others with oily skin, but something about it makes my skin very upset. Available at: Memebox USA (affiliate), Jolse, Wishtrend & Amazon (affiliate). You can find me on Instagram as @samantha_blogs and on Reddit at u/gothickornchic.